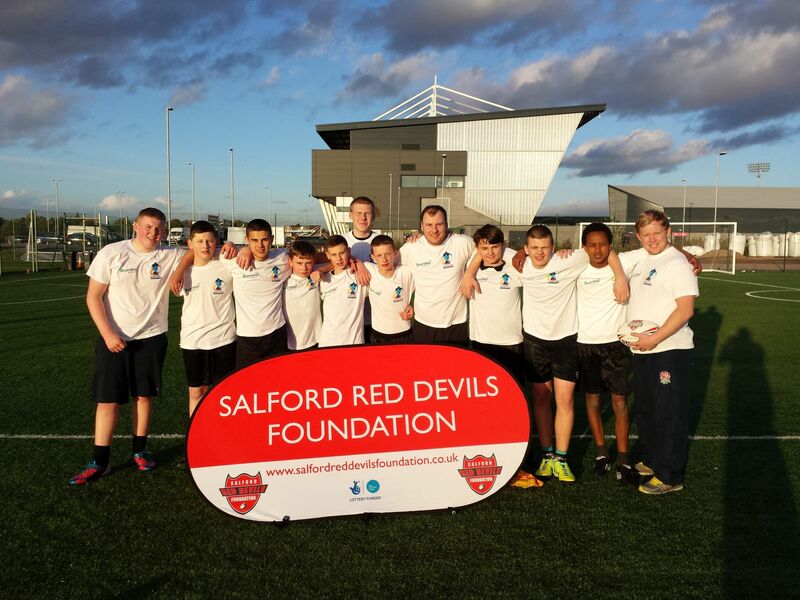 A new and exciting partnership between The Albion Academy and Salford Red Devils Foundation was set up in November 2012, which developed into the formation of The Albion Sports Academy in September 2013. This unique partnership was brought to inception by the forward thinking of a school that sees the power of sport as a vessel for learning and a community orientated sports foundation that had the expertise to provide quality education delivery in a unique environment. The partnership has many mutual benefits and should be seen as a template for future provision of education for certain students moving forward. The Albion Academy is able to select students with an interest in sport and be able to offer them an opportunity to take part in extra sporting sessions and gain a Level 2 BTEC Sport Award on top of the existing qualifications they are taking at school. This gives students a fantastic opportunity to experience a real work place environment that most students will never be able to see. As a professional sports club Salford Red Devils are able to offer students the chance to take part in sports that would not be available at school. The current cohort of students has been skiing, rock climbing, kayaking as well as taking part in tradition sports and a residential sports trip is planned for next year. The Sports Academy is a wonderful asset to offer academic students an opportunity to achieve an extra qualification, whilst gaining experience of working within a professional sports club and simultaneously offering the more practical orientated students a way of achieving a qualification that may suit their learning style better. This is a no lose situation where all abilities thrive and can achieve excellence. Although still school children when students are at The AJ Bell Stadium they are treated more as staff to give them the opportunity to take ownership of the course. The surroundings are far less formal and the atmosphere is more relaxed than in a school, which we find is a great way to promote learning and establish good working values within students. We have found that as a result students’ maturity levels have increased and they become far more responsible for their own actions. Upon completion of the course participants have the option of continuing their studies with Salford Red Devils Foundation as we also deliver the Extended Diploma Level 3 BTEC Sport. Students can see a clear progression route to achieving an excellent education, which can lead to University acceptance if high grades are achieved. The Salford Red Devils Foundation are proud of their community activities and this partnership is extremely successful and we look forward to having continued success with The Albion Academy.